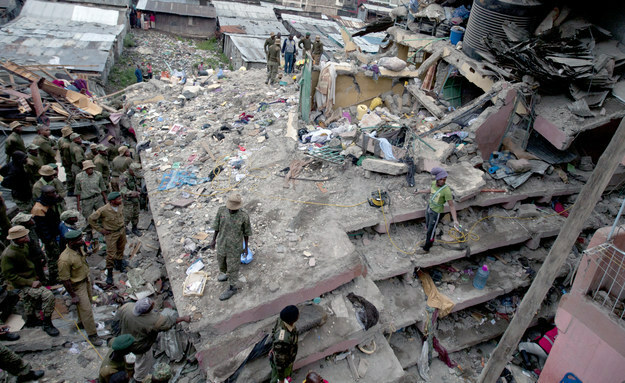 At least 10 people have died after a residential building collapsed in the Kenyan capital of Nairobi Friday. 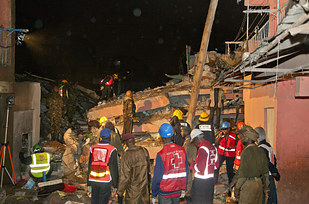 More than 134 injured people were pulled from the wreckage of the building following heavy rains, Kenyan authorities told the Associated Press. 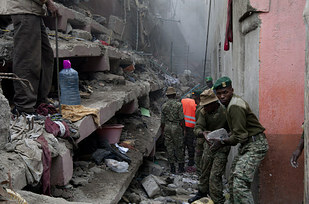 Kenya Red Cross said one of their search teams had pulled three children and an adult from the six-story building. Rescue operations continued Saturday, with the Red Cross reporting more than 50 people are still missing.In recent days, heavy rainfall has caused landslides and floods, washing away houses, the BBC reported.The Red Cross said people from about 1,000 households were displaced by the flooding across Nairobi.Nairobi’s deputy governor Jonathan Mueke told reporters at the scene that an investigation would take place.“The building went down during the heavy rains, but we still want to establish if all the procedures were followed when it was constructed,” he said. He said the block had been built in less than five months and the 126 single rooms cost $35 a month to rent. 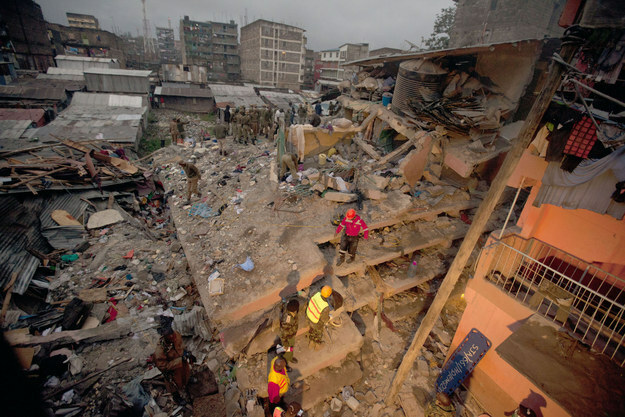 Kenyan President Uhuru Kenyatta last year ordered an audit of all the buildings in the country after eight structures collapsed, killing at least 15 people. The report found 58% of buildings in Nairobi are unfit to live in, AP reported.